Red Bull! NASCAR!-A Blog about NASCAR and more: Let's Go Racing With Austin Dillon:Driver of the # 3 Bass Pro Shops Chevrolet Silverado! 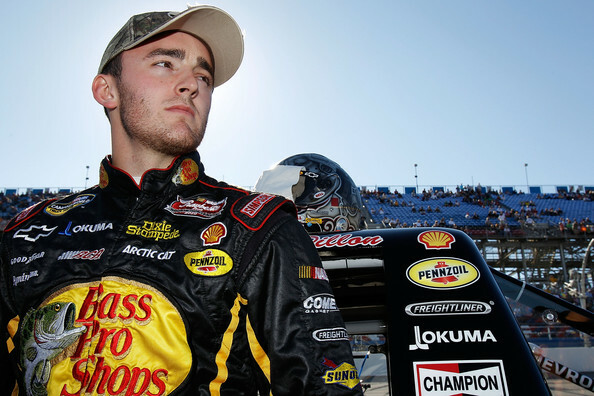 Let's Go Racing With Austin Dillon:Driver of the # 3 Bass Pro Shops Chevrolet Silverado! It's time for another blog! Yet this one is not about a race or a track it is about a driver! We are going to talk about driver of the #3 Bass Pro Shops Chevrolet Silverado, Austin Dillon. Many of you fans know who Austin Dillon is and his story and also about his brother Ty Dillon. For those of you who don't know much about him or just want to hear more, this is the blog for you! I am going to talk about Austin, his racing career so far and also some fan views on Austin Dillon and even an exciting phone call one lucky twitter friend of mine got. So here we go! Let's go racing with Austin Dillon! Austin Dillon was born April 27th, 1990 and races for NASCAR Camping World Truck Series and did a little for Nationwide as well, he is also the grandson of Richard Childress. When he drove the # 33 for Kevin Harvick Inc. in Nationwide he obtained 1 top 10 win from that. He drives the # 3 full time for RCR (Richard Childress Racing). 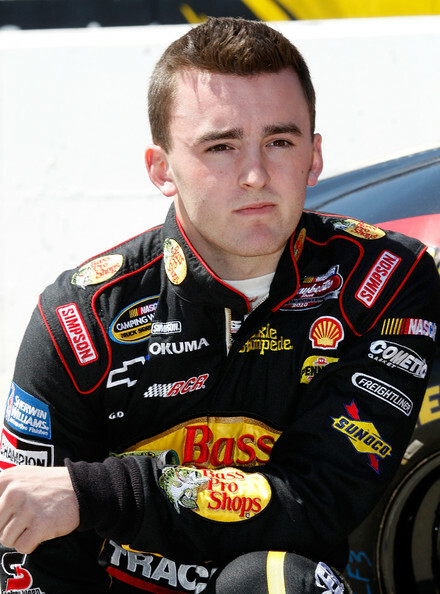 His Brother, Ty Dillon races for RCR as well in the ARCA Racing Series. His residence is in Lexington, North Carolina and his hobbies are Hunting, Dirt Biking, and Paintball. He made his debut into the Truck Series in 2009 on September 5th at Iowa Speedway. He also made his debut into the Nationwide Series in 2008 on September 7th at Richmond International Speedway. Also got a career best finish at Memphis Motorsports Park, finishing 4th on October 25th, 2008. 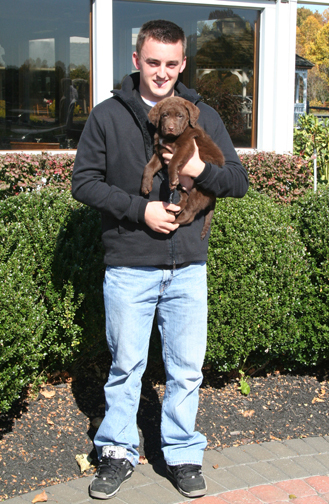 Also, Austin earned Rookie of the Year honors and finished second in 2008 Truck point standings. Overall in his Truck Series, Austin has obtained 2 wins, 16 top tens, and 8 poles. His first race was 2009 Lucas Oil 200 (Iowa), and his first win was 2010 Lucas Oil 2oo. In 2011, Austin has had a good start to his season, had trouble on the first race with a wreck, but this weekend at Phoenix he earned a top 5 finish. I can say that he is making moves every race and I wish him the best of luck this season! Beyond racing, Austin Dillon has impacted multiple fans and given them the best views on him. I went on Twitter and asked people to describe something about Austin they liked or something that caught their attention about him. I got multiple responses and told those people i would gladly share their responses with my blog readers! :) So here we go with what fans think about Austin Dillon! @teripolzin said"Austin Dillon is such a nice young man! I've been his facebook friend for over a year and when I msg him he still answers!" @teripolzin "I sent him greetings on his graduation last year and he answered back.Very nice southern boy with manners!!" Thank you for your insight Teri! :) I liked how you expressed how well-mannered and kind Austin is! :) Thank you! @JBrooke6_20 said "I like the fact that you can tell he's not trying to ride on his grandfather's coattails. He has his own individual talent." @ClayMakerKahne4 Said "Hes super fan friendly!!! Thats the best quality for any driver in NASCAR"
@ClayMakerKahne4 Also Said "Hes suuuper hot. and his dad is a dork :)"
All these tweets prove that many fans love Austin Dillon and find him as a very nice, well-manner NASCAR Driver and I agree with each and every one of them and thank them for giving me their insight on what they thought! Now i decided to ask a great twitter friend of mine to tell me about her Austin Dillon experience and that girl is Ashley Schindler. She was a lucky fan who got interviewed but also got a call from Austin! I asked her to tell me her reaction to the call and interview and here is what she had to say about it! "Okay! So I was interviewed for being an extreme nascar fan and they incorporated my blog into it. About halfway through the interview the people interviewing me were acting weird and I thought I was doing something wrong.. The phone rang and my mom answered it, giving me a weird look. Some lady named amy was on the phone And she was like happy birthday then she said she had someone there that wanted to say happy birthday and it was austin. As u saw lol I spazzed. He asked me questions and wished me a happy birthday again and my day was totally made! I thoughtit was super awesome and soo sweet to take the time to call me!" This very experience for Ashley was truly the best birthday present she could get. The video of Austin calling her is on Youtube, she also changed her twitter username from nascarchick_20 to nascarchick_3 after the phone call. This day was super special for Ashley and showed how awesome drivers, like Austin Dillon can be! :) You can all say it was truly awesome that Austin Dillon did this for a fan!